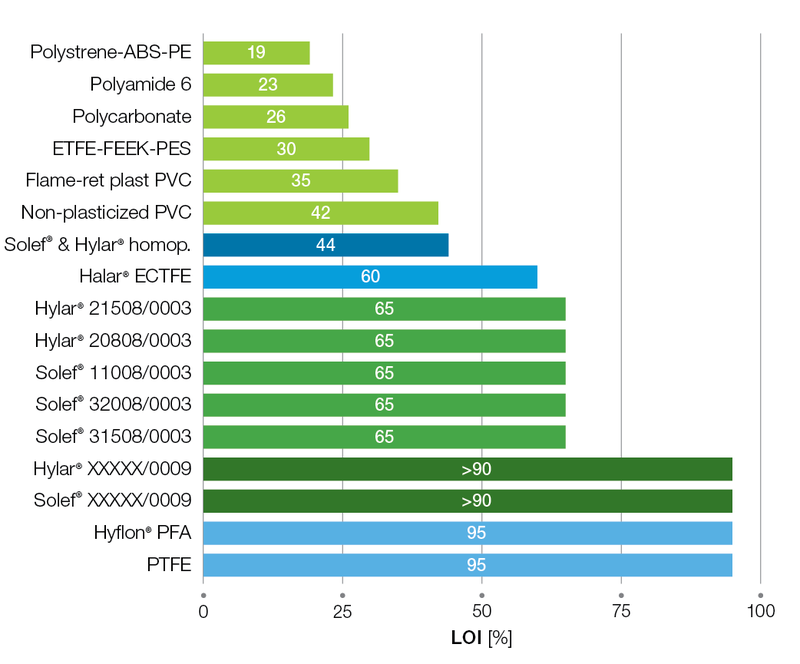 Fluorinated plastics Halar® ECTFE, Solef® PVDF, Hyflon® PFA/MFA® and Algoflon® PTFE, are ideal when excellent temperature and chemical resistance are required. Extruded or molded components include tubes, pipes, hose, column packing, pumps, valves, fittings, gaskets and expansion joints. Small items can economically be made entirely of fluoropolymers. Certain heat exchangers, used in very acidic media, have entire components made of Hyflon® PFA or MFA®. 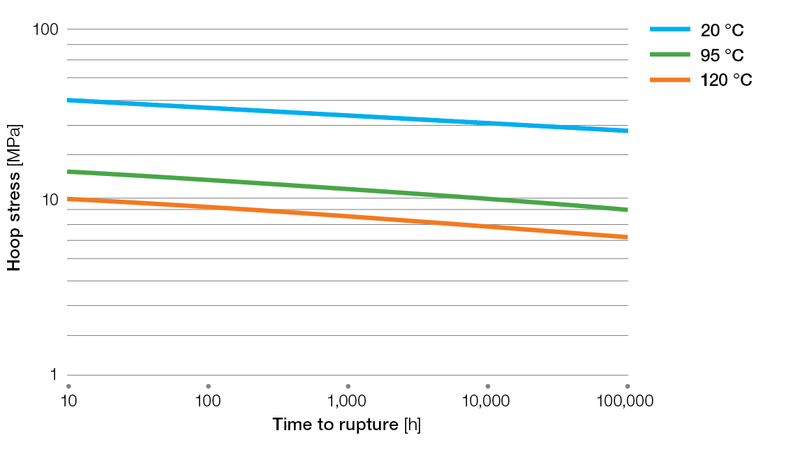 The Hyflon® MFA® surface is up to 5 times smoother than standard PFA, improving cleanliness, reducing pressure drop, and reducing wall build up in problematic slurries or mixtures. It is designed to give much better physical properties than FEP, lower creep and improved stress cracking resistance. Like PFA, Hyflon® MFA® offers the highest temperature rating and broadest chemical resistance of all melt processable fluoropolymers. 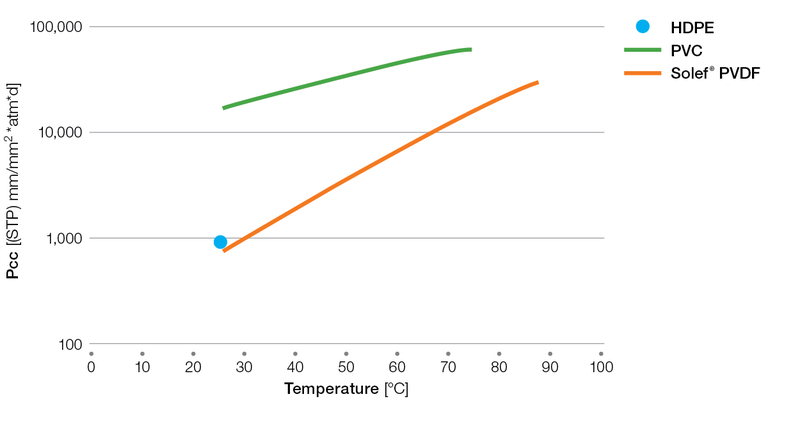 MFA® has a continuous use temperature of 225°C. 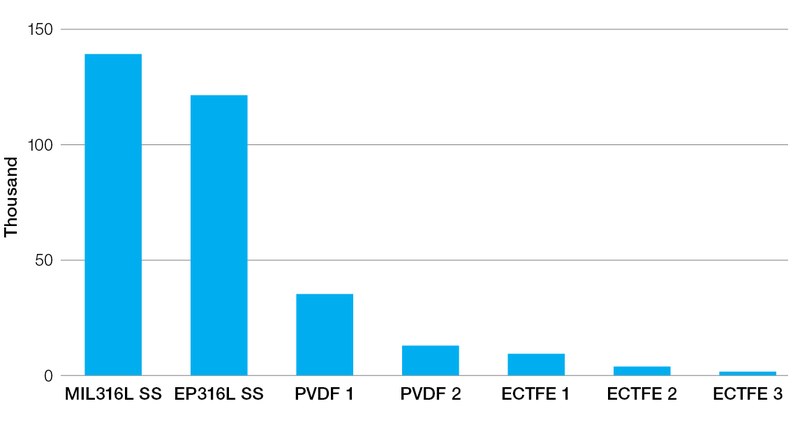 Thanks to their unique properties mix, PVDF have a large variety of applications. In the chemical industry PVDF is also often used as protective linings against corrosive chemicals for pump bodies to convey corrosive fluids. We can also find pressure piping systems in PVDF which are in most cases welded. Situated between chemical industry and domestic piping, chemical waste piping is another important application of PVDF. In other industries, purity is the key property. This is the case of the pharmaceutical industry, where the intrinsic purity and chemical resistance of PVDF piping systems are well appreciated. Halar® ECTFE coatings are recommended for high purity fluid systems in the chemical industry, particularly where the process surface must be smooth, pure (low extractables), and chemically resistant. Halar® ECTFE powder coatings are used in the presence of extremely aggressive chemical environments. Moreover, the extremely smooth and chemical resistant surface of Halar® ECTFE prevents microbial growth. 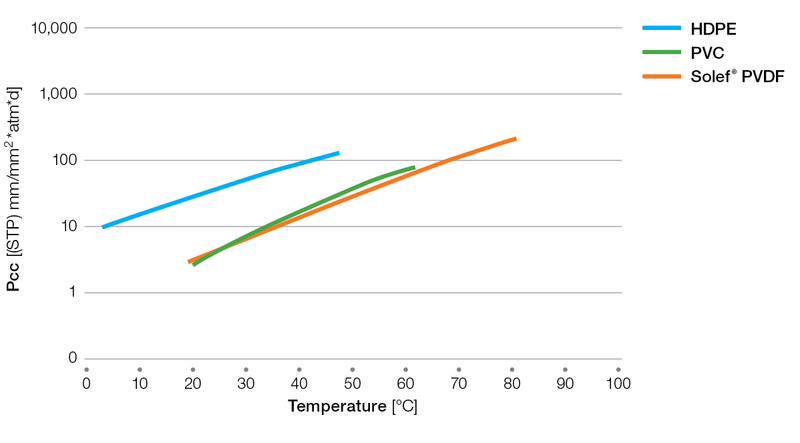 Outstanding chemical inertness in aggressive environments, thermal resistance, electrical properties, and non-stick characteristics in a wide range of temperatures from cryogenic to 260°C. This makes Algoflon® PTFE the ideal material for many critical applications. In particular, Algoflon® DF powders are currently used for the production of pipe and tubing by paste extrusion meeting the demanding requirements of the chemical industry. Solef® PVDF is a semi-crystalline, melt-processable fluoropolymer that offers excellent resistance and barrier properties to many chemicals combined with exceptional fatigue resistance and long-term hydrostatic strength. It has been used successfully in the chemical industry for more than 30 years. Solef® PVDF has also been used for decades in the semiconductor and oil & gas industries as well as for domestic plumbing systems. Moreover Solvay can offer compounds for chemical industry applications, for Gas and Fluid transport and industrial applications. Protective linings in reactors and tanks fabricated with Halar® ECTFE, Solef® PVDF, Hyflon® PFA/MFA® and Algoflon® PTFE granulars, provide excellent resistance to extreme chemicals and temperatures. Fluoropolymer lining systems are an alternative method to using specialty alloys such as stainless steel, titanium, Inconel® or Hastelloy® for corrosion control purposes. 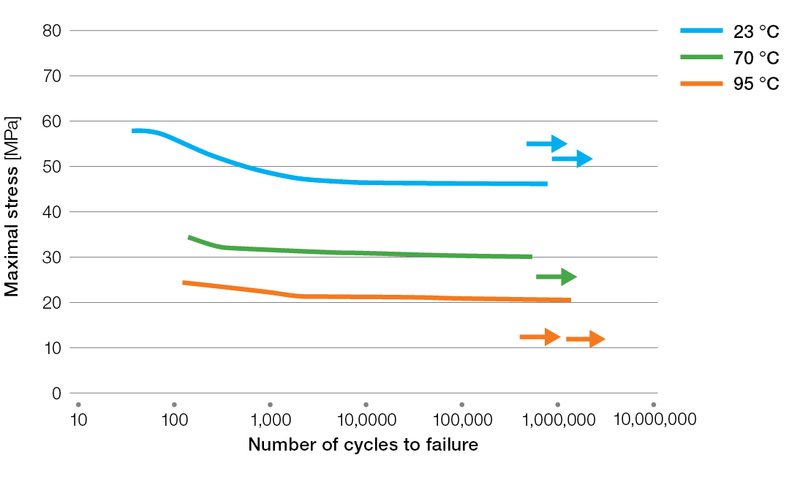 Significant cost savings can be achieved and a reliable system specified by appropriate selection and application of fluoropolymer lining systems. Halar® ECTFE, Solef® PVDF, Hyflon® PFA/MFA®, and Algoflon® PTFE are used as continuous linings within FRP dual laminate or steel substrates. Extruded liners can be pulled into steel pipe or over-wrapped with FRP in a dual laminate construction. Thicker linings provide much better protection against permeation and abrasion. These linings can be applied through rotomolding or transfer molding, as found in most pumps, valves and fittings, or through sheet lining. The latter process may be a loose liner as in many PTFE applications or may use adhesives to bind the fluoropolymer to a surface. Our powders and water-based solutions offer exceptional chemical resistance and adhesion, improved scratch resistance and thermal stability. Torlon® AI (polyamide-imide) – thermoplastic, amorphous polymers available in water-soluble versions that possess exceptional mechanical, thermal, chemical resistance as well as wear-resistant properties. They are inherently non-flammable, have outstanding electrical properties, and possess enormous temperature stability from cryogenic to 300°C and some grades are FDA compliant. Veradel® polyethersulfone (PESU) – is a water-dispersible polymer powder that is FDA-compliant with excellent quality and product consistency. It has an HDT of 204°C, is inherently non-flammable, optically clear and provides good chemical resistance to strong acids and bases. Its range of molecular weights and low viscosity allows for easier processing. It offers good adhesive properties to a wide range of metals, including stainless steel and aluminum. KetaSpire® PEEK (polyetheretherketone) – is a semi-crystalline thermoplastic that that is FDA-compliant and has outstanding chemical resistance to organics, acids, bases and steam/hot water. It is an ideal material for applications that are exposed to extreme conditions such as wear, abrasion and high temperatures up to 315°C. It is available in both powders and fine powders. 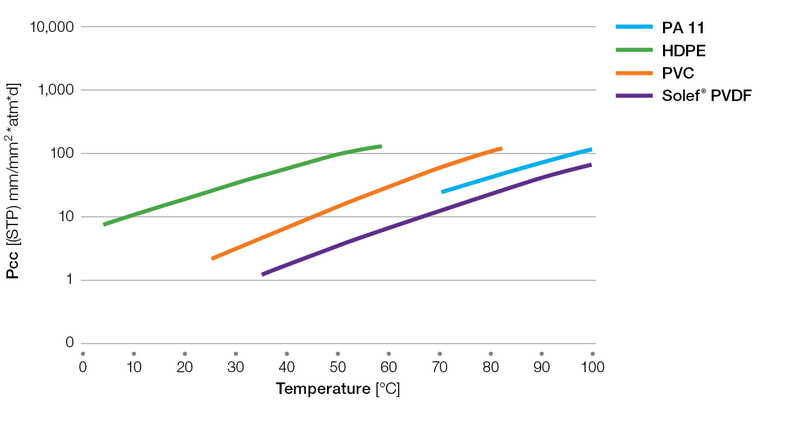 Radel® PPSU (polyphenylsulfone) – super-tough transparent polymer that is FDA compliant with an HDT of 405°F (207°C), excellent chemical resistance and the unique ability to be steam sterilized without significant loss of properties. Xydar® LCP (liquid crystal polymer) – high-temperature, liquid crystal polymer with an HDT of 570°F (300°C), and extremely high chemical resistance when applied as a thermally-sprayed powder coating. Clean Room process equipment must be constructed of high purity, chemically-inert and fire-safe materials. Hyflon® PFA/MFA® powders are high purity products that can be used for anti-stick coatings for use in pharmaceutical and high purity process equipment where good release properties and high purity and excellent temperature and chemical resistance are required. Halar® ECTFE is used as a lining and coating for ultrapure water systems in the pharmaceutical and chemical industry. 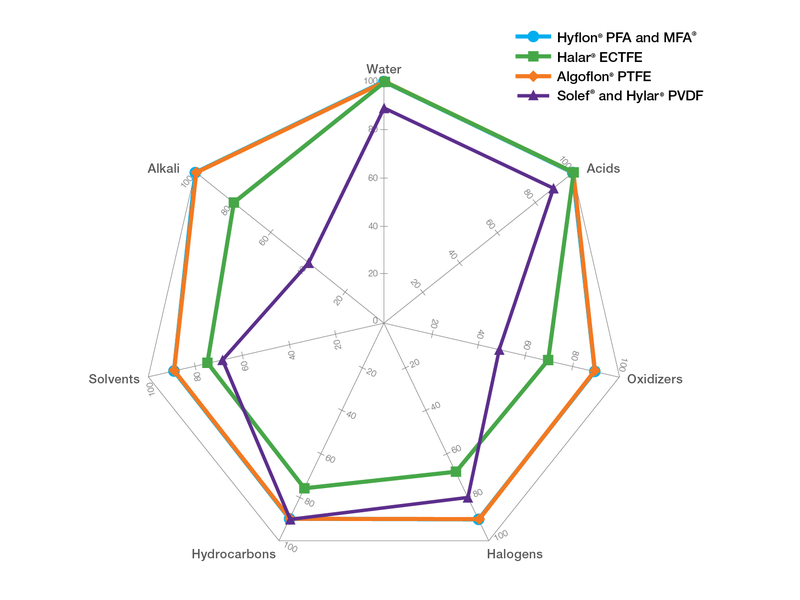 Halar® ECTFE has complete chemical compatibility handling the full pH range and is ideal for alkaline chemistries. Moreover, it meets the demands for fire-safe, non-fire propagating plastics. It is approved and listed to the FM Global 4910 Clean Room Fire Safety Protocol and has been tested and meets the UL 2360 Fire-Safe Clean Room Materials Standard. Reduction or elimination of the buildup of salt deposits and debris that can reduce airflow approved by Factory Mutual for use in fume and smoke exhaust systems, without sprinklers. Halar® ECTFE coated stainless steel exhaust duct systems are designed to handle a wide range of corrosive exhaust streams found in a variety of industrial applications, including clean rooms. Solef® PVDF, thanks to its unique properties, is ideal for the production of filter cartridges and housings. Non-wovens for the separation of immiscible liquids or the elimination of mists in systems containing aggressive chemicals. Fully fluorinated perfluoropolymer yarns and fibers made from Hyflon® MFA® are a unique product for high performance filtration. Moreover, when modified with Aquivion® PFSA, it shows from good to very good wettability properties. 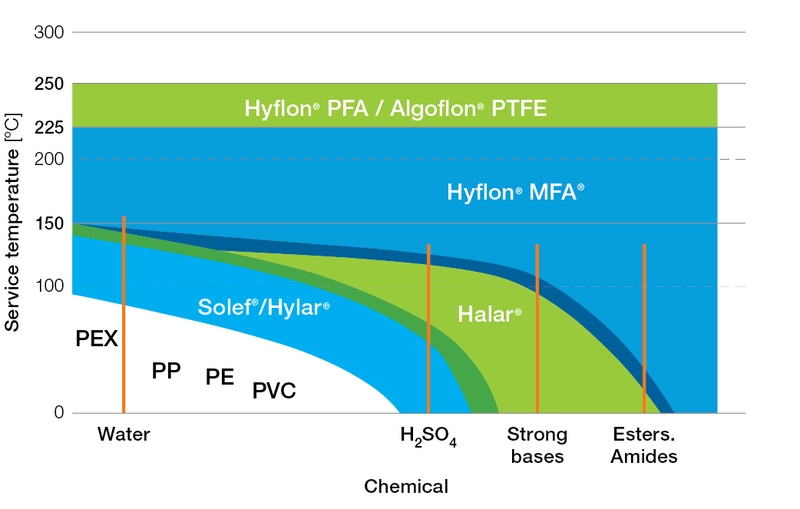 Being a biphasic polymer with interpenetrating networks of PTFE-type semi-crystalline perfluoropolymer domains and water-containing channels with hydrated ionic groups, Aquivion® PFSA can be used, in fact, to modify hydrophobic surfaces of fluorinated polymers such as PTFE. After such treatment, performed on micro- or nanoporous PTFE webs (after structure formation), liquid mass flow is substantially increased.